Riding high on their creativity, breaking the monotony and adding the spice on to their day, Integralites took part in the cross city Camerathon ,a part of Rendezvous – the cultural fest of IIT Delhi, at Integral University, Lucknow on the 29th of September. Rendezvous, famously known as RDV is the annual Cultural Festival of the Indian Institute of Technology, Delhi. IIT Delhi collaborated with Integral University for this event and captured the fun University life at Integral. 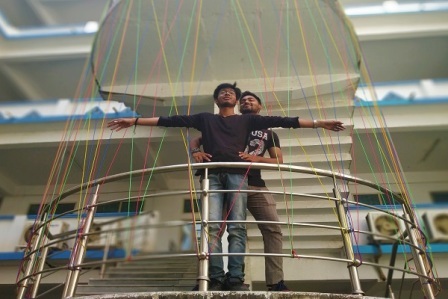 It bridged the cross city youth groove to spark the new friendships across India. The event was actively organized by Abid Rahman, Anayatullah of B. Tech. Mechanical, Arshi Fatima of B. Tech. Computer Science and Technology and Mohammad Afzal Amir of B. Tech. Electronics. The event challenged the wits and gifted students to have fun time with their friends and get clicked for everlasting memories. The event was a thundering success with the enthusiastic Integralites exploring the campus and getting shot at the famous points in the University. 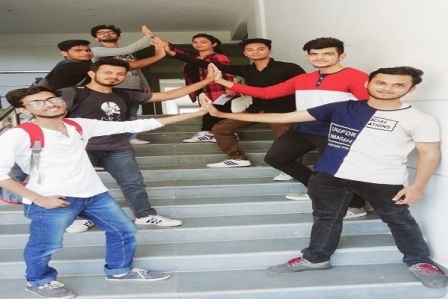 There were 12 teams consisting of 4 players each with 20 tasks, like clicking a picture in the iconic titanic pose and composing a video saying a famous movie dialogue, to be completed within the span of 2 hours. 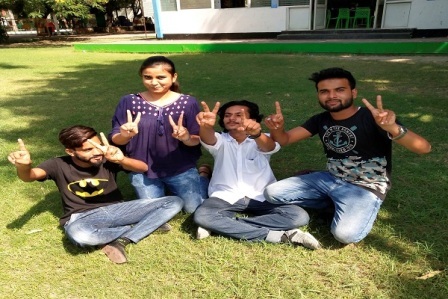 All the teams thoroughly enjoyed the process through the competition and Mohammad Shahzan Ansari, Sadia Shakeel and Shahwar bagging the first, second and third positions respectively.